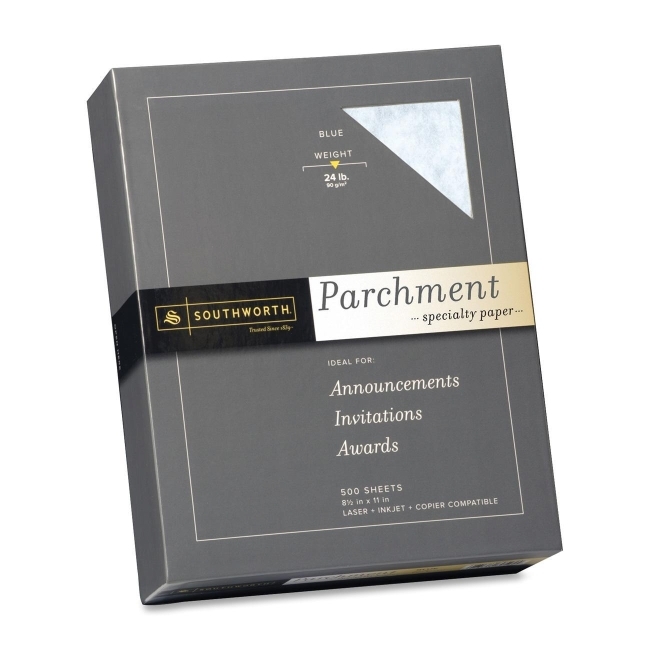 Southworth Fine Parchment Paper - Letter 8.50" x 11"
Perfect for certificates, awards, presentations, letterheads, invitations, menus, calligraphy and more! Parchment finish paper brings an old-world look and feel to awards, certificates, invitations, calligraphy, menus and more. Ideal for framed or publicly displayed documents. Acid-free, lignin-free paper will not yellow with age. 24 lb. parchment paper is compatible with laser printers, inkjet printers and copiers. $14Southworth Fine Parchment Paper - Letter 8.50" x 11"